Thermal runways exist more often in lead acid batteries that are valve regulated, also known as VRLA or Sealed. When the rate at which heat is expelled is dwarfed by the rate its internal generation, and the process continues for a long period, the temperature of the battery increases. This will continue until the cells of the battery are dried out and the contained material softens, breaks and is melted down. Be careful if your VRLA battery is experiencing thermal runaway, because it will ruin your battery. Not only is thermal runway expensive and inconvenient, it can sometimes be dangerous. Thermal runway releases chemicals which are toxic and can, in extreme cases, set batteries on fire or make them explode. The occurrence of thermal runways can be attributed to two factors – heat and current charge. Batteries that are connected to a charge need to be limited for charging voltage and current and controlled for the temperature. If a thermal runway starts, it cannot be stopped. When this happens it will increase the temperature of the battery thus decreasing the internal resistance to the charging current allowing for more current and as a result more heat. That is why it is called a runaway. The only way to stop such a cycle is to remove the batteries, dispose of them and replace them with new batteries. While it is essential to understand thermal runaways, it needs to be acknowledged that the chances of such a thing occurring in properly maintained, applied, and installed VRLA batteries are next to none. Regular and periodic maintenance checks will allow you to be able to spot the faults in the batteries long before they fail and allow the technicians to adjust the current and the charge voltage to ensure that the batteries are not overcharged. The air temperature in which the battery is placed also needs to be examined and properly maintained. If these factors are kept under control, there is a very small chance of thermal runway occurring. Aging batteries are likely to be more susceptible to a thermal runaway than newer batteries. 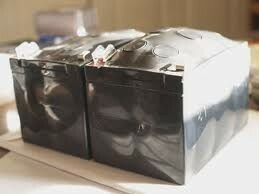 Therefore, if you think your batteries are getting old, you may consider replacing them.